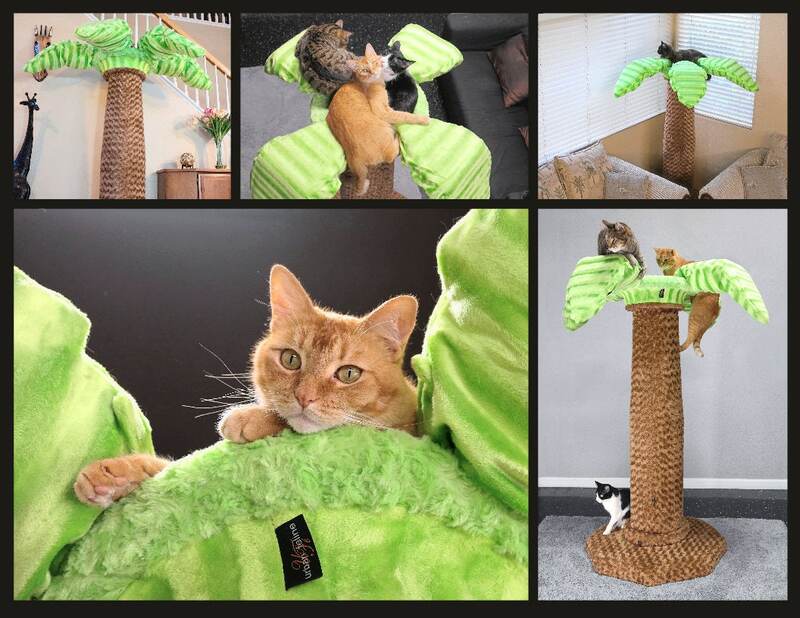 Designed to give cats a similar physical experience to that of climbing real trees outside, feline anatomy, physiology and psychology were used to design these CatTrees, making them much appealing to felines. Large ergonomic surfaces create highly functional playgrounds with a soft luxurious texture. Hypoallergenic and bleach-safe fabrics make it a much cleaner option, and underneath the fabric is a recycled padding layer wrapped around a stable core that is both strong and flexible. 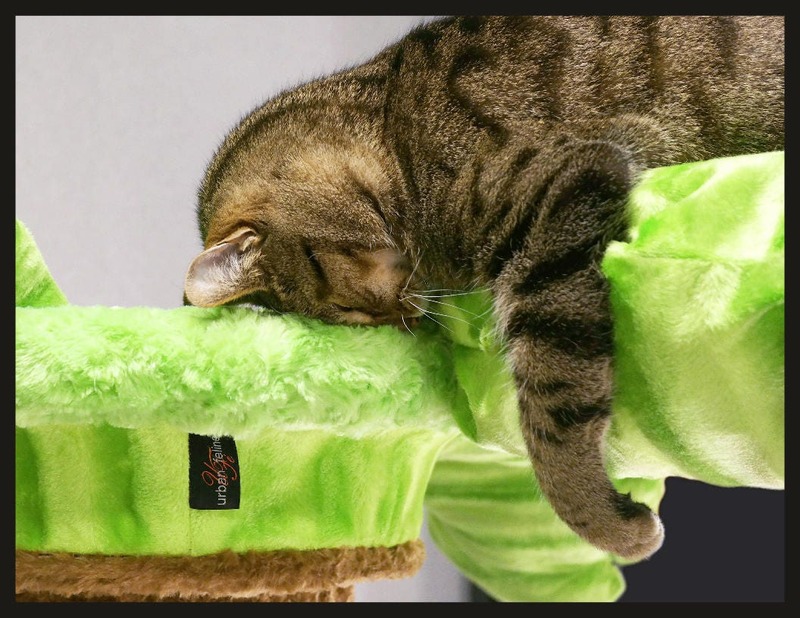 The large trunk gives cats a great core workout every time they run up it, helping to improve over all strength and digestion while also relieving stress. 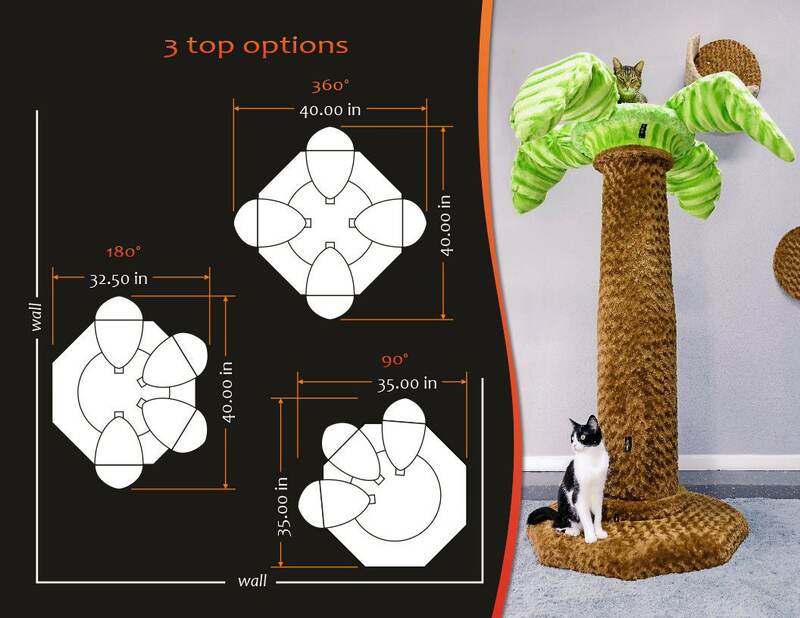 These modular CatTrees are assembled from up of three parts - A Base, Trunk and Top (takes two minutes). Each part is lightweight, and the three fit nicely into the back seat of a compact car. Part are also replaceable and upgrade-able, plus they are between 15-25% recycled content by weight. The original Caribbean Palm stands 61 inches tall, with a 30 inch diameter base. 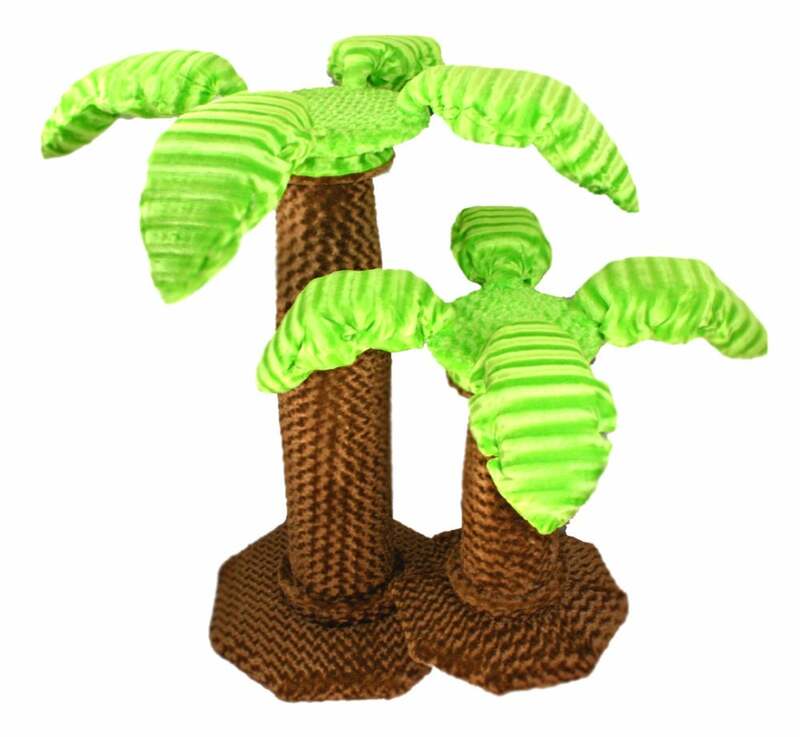 The Jr. Caribbean Palm stands 36 inches tall, with a 24 inch diameter base. Original 360° top - Largest layout and highest function, greatest vantage point. The 180° top - For placing your palm up against a wall, without loosing the large layout. The 90° top - For placing your palm in a corner, or other inside-angle space. Due to the extra-large nature of these products, shipping is over-estimated with all shipping overages being refunded post shipping. 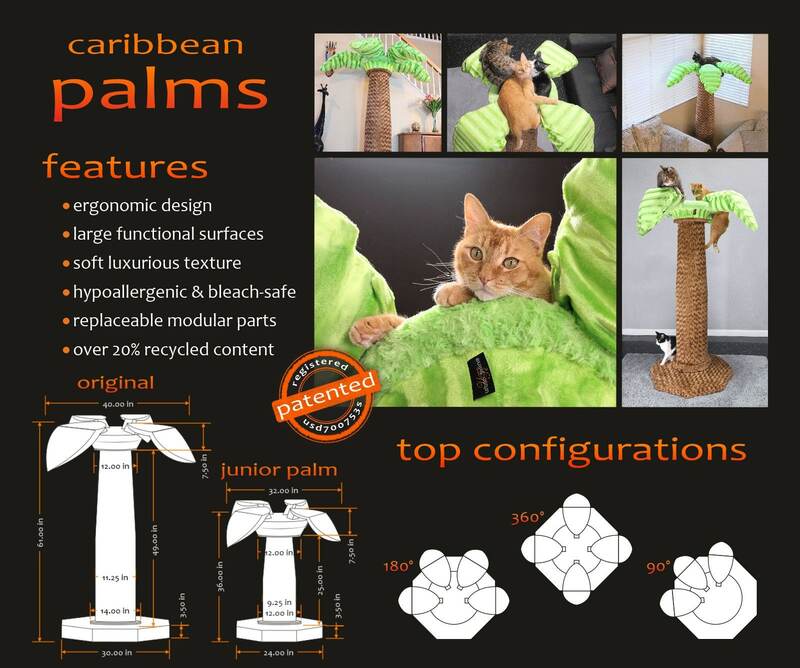 Caribbean Palms come in 2-3 boxes, depending on size and customization features. In addition to keeping an eco-focused approach to design and production, a portion of each sale goes to helping care for shelter and feral cats in our local community. Help your cat, help shelter and feral cats, and support a sustainable cause... all at the same time! What's not to love? OMG!!! I have to say they are SUPER easy to work with. I changed my mind about 3 times not sure what color I wanted the trunk. Then added on a base at last minute. Changed the color of the top of the tree. All the while they were very patient. I was worried that the tree might not be sturdy. Not a problem there, both cats play on it at the same time. I was also worried that the cats might not use it. When I got the tree and before I even put it up while I was holding the base the cat climbed right up it. They both love this and play on it constantly. Thank you for another fabulous creation!!! This costly tree proved not just arduous & unsuitable for an average home, but an absolute nightmare! The tree was cumbersome, extremely heavy & very difficult to move or maneuver, and every time we moved this tree, two screws fell out. However, the biggest issue involved our four cats’ aversion to using the tree at all. I tried catnip, food, etc., and they still refused to go near it. In addition, buyers’ need to beware, that this palm tree is not only very large, but much heavier & bulkier than described on the website. 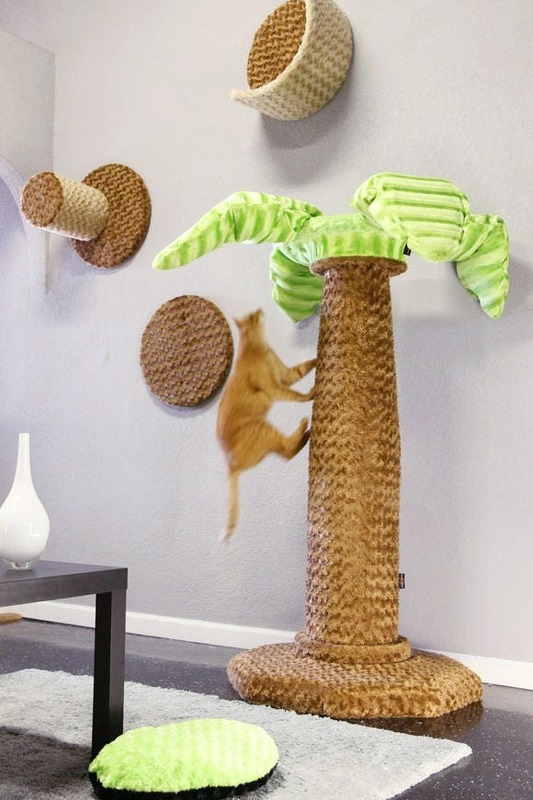 The seller ONLY listed the height, while claiming this tree was made with three lightweight quality pieces, both of which are BLATANTLY untrue! The base proved extremely heavy, unstable on carpet & unusable. The seller lacked honesty, fairness & ethical behavior during the entire return process! Abominable! 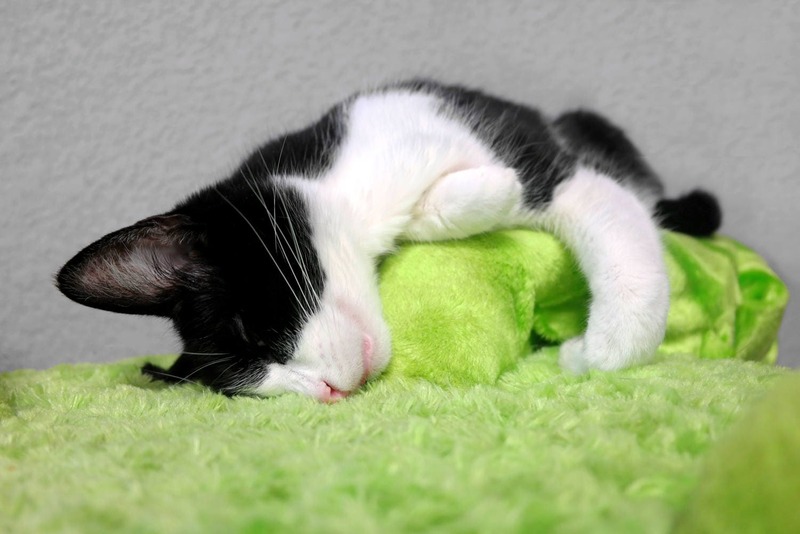 Urban Feline products are the best! They're a bit more expensive than some, but absolutely worth it! I have 2 male cats; approx 7.5 years old, and very skittish; and about 3.5 years, and very rambunctious. We have the Caribbean Palm and some wall condo pieces. This system has enriched my cats lives more than I could have imagined! Both cats LOVE the pieces! I thought my shy boy didn't like heights, but he loves to relax in the cradle which is about 6' high. My cats use all the pieces as a system to play and relax, and they often sleep together in the cradle. 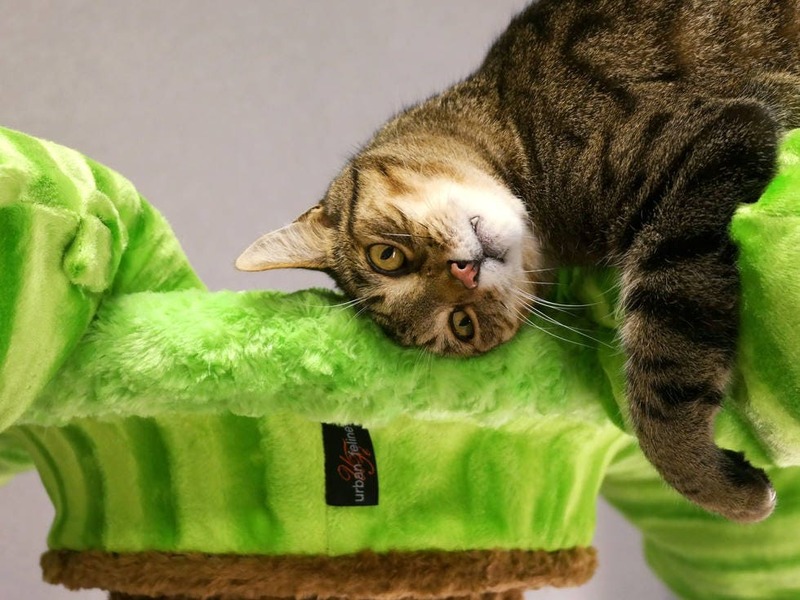 These items are clearly designed for both cats and people. 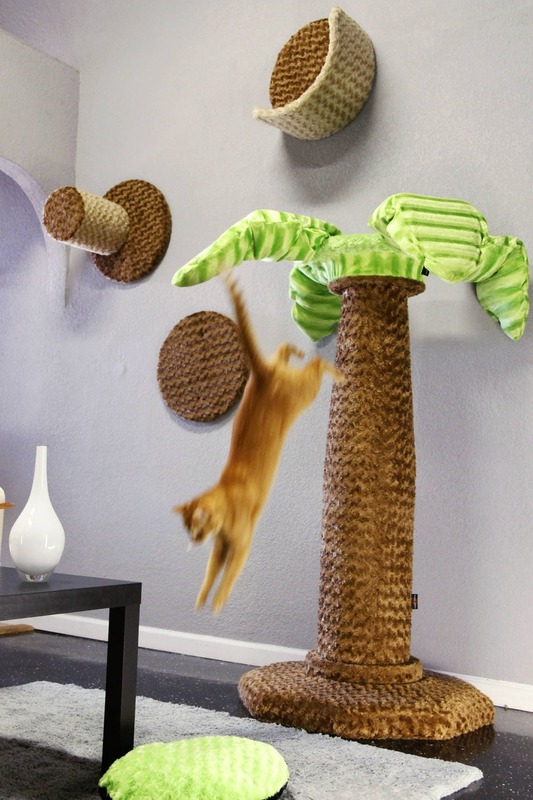 They are beautiful and durable and I love that they're modular and that Urban Feline is environmentally consciences. I'm using the same review for all my pieces as they're amazing together! 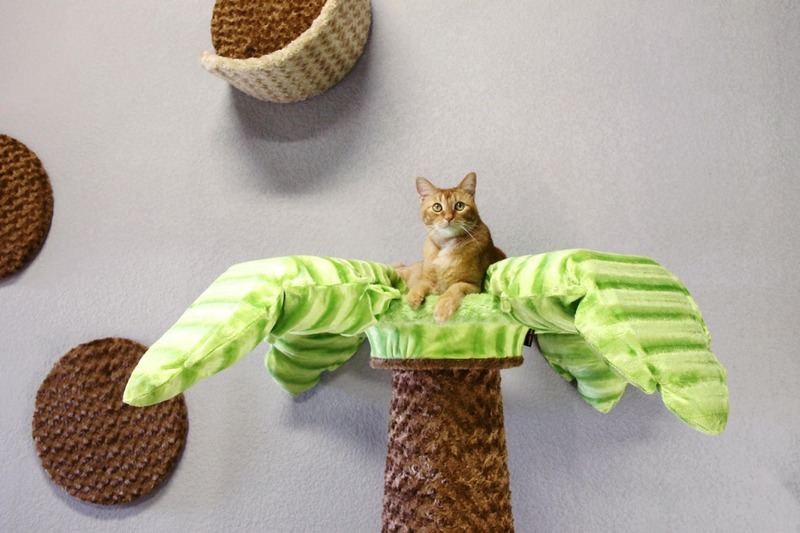 Thank you Urban Feline! !